There are as many variations in picture framing as there are little black dresses. Flirty and fun, conservative and restrained, classic and elegant — there’s a time and place for each. It’s the same with frames and mats. Arriving at the right mix depends on the artwork, the setting and your personal style. 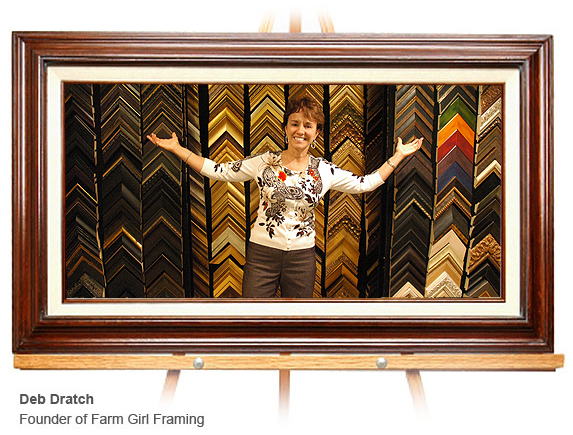 FarmGirl Framing’s goal is to help you sort out that puzzle and bring your wall art to life. FarmGirl Framing offers unique design ideas, as well as quality craftsmanship and the finest materials. Although a business named “Farm Girl” (my son’s idea) might not seem to fit in Northern Virginia, I hope you find that the work ethic I learned on my family’s North Carolina farm extends to my efforts as a custom framer: Do the best job possible, with the best tools and equipment possible. Do it in a timely manner and charge a fair price. Take pride in your work and stand behind it. I have framed thousands of items since I began business in 2001. I guarantee your satisfaction. 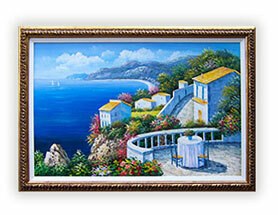 I invite you to make an appointment to visit my studio and see the large selection of quality frames and mats available. 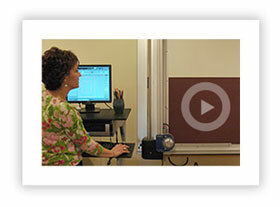 State of the Art Matte Cutting Equipment —Watch it Now! For your convenience, Farm Girl Framing accepts Visa and MasterCard. We are located in Centreville, VA, near the Fair Lakes area. Please call for an appointment and directions. © 2014 Farm Girl Framing. All Rights Reserved. Web Site Design by DeCarlo Studios. 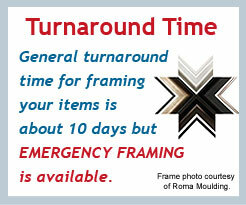 Photo of two frames shown in the header are courtesy of Roma Moulding.